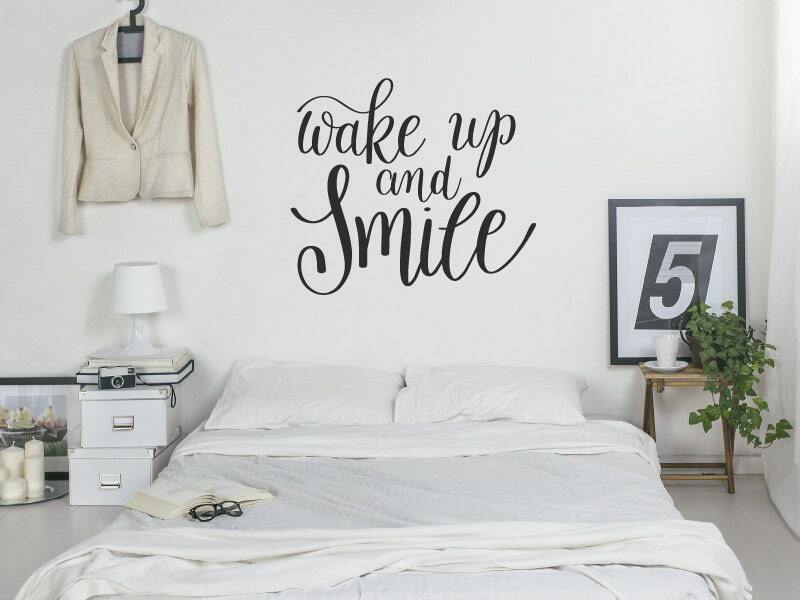 A beautiful bedroom wall decal quote "Wake up and smile", written in flowing calligraphy font. 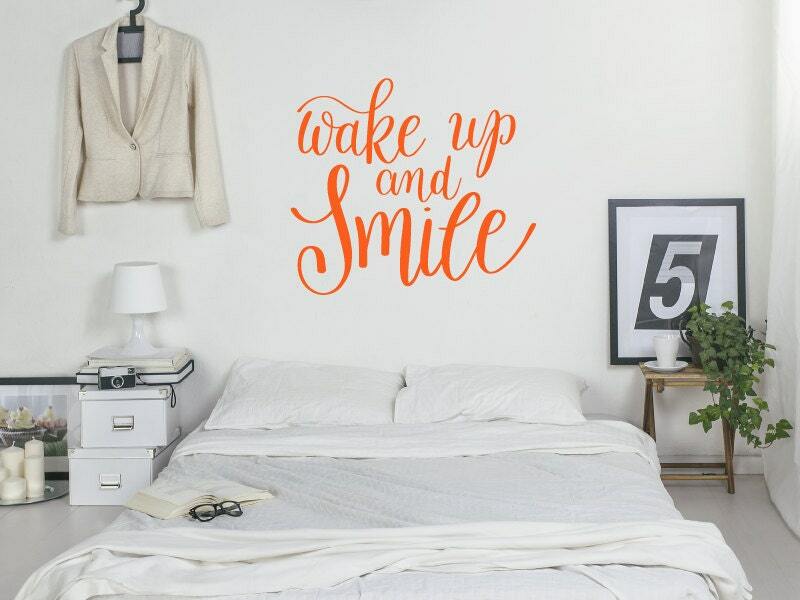 This motivational/love wall sticker quote will look fabulous on your walls, really complimenting a room and setting a feature point within the design. 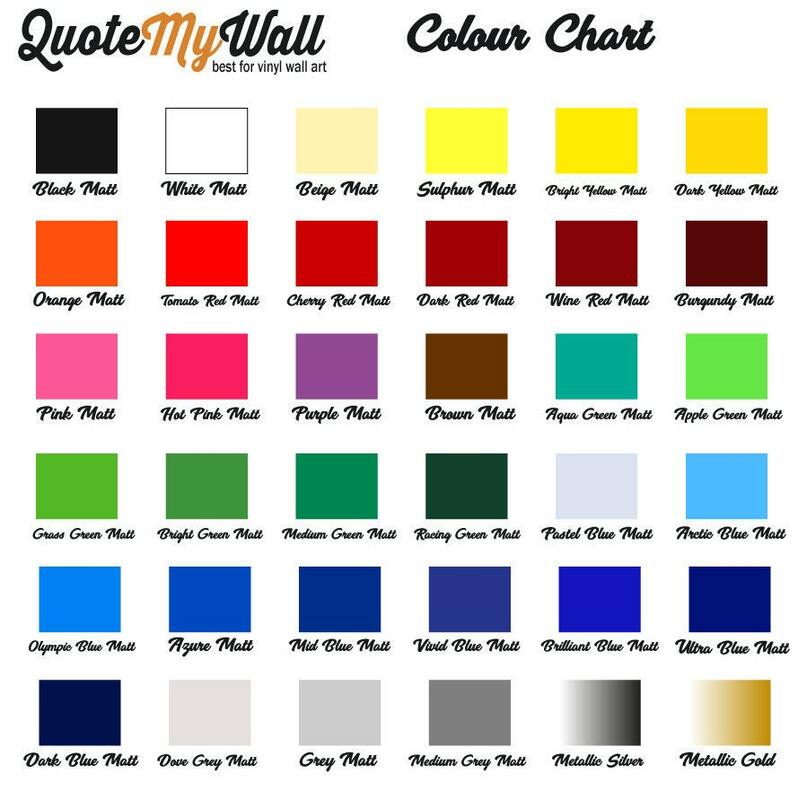 Colours used in images - black matt,orange matt and medium grey matt. Looks just like the image!